For the Anzac Centenary, the Bendigo Tramways supported by the Bendigo RSL undertook the creation of a unique “talking” tram experience, The Anzac Centenary Tram. Comprising of the complete restoration of Bendigo tram No. 45 which originally went into service in Melbourne in 1914 and was used between 1914-1918 by Melbourne’s service men and women who were heading off to assist in the war effort. 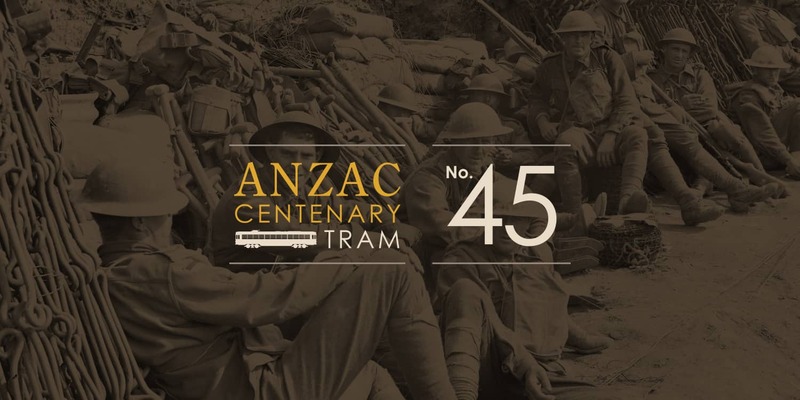 Through stories of bravery, resilience and courage in the face of adversity, the Anzac Centenary Tram explores the impact of World War One on the local Bendigo community through graphic displays combined with a prerecorded commentary and soundscape. 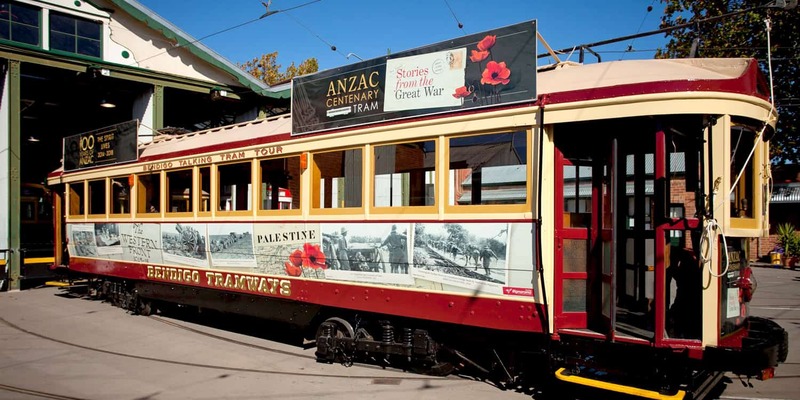 We are proud to have played a part in the creation of the Anzac Centenary Tram working closely with the Bendigo Tramways on the design of both the external graphics which wrap the outside of the tram and the information boards inside the tram.